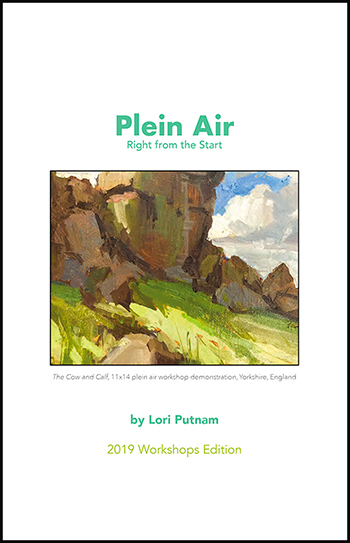 This small, 5.5 x 8.5, 24-page booklet is a quick-start guide to painting outdoors. 2019 workshop participants will receive a free printed copy. There are no limits to the many ways we can paint with oils. 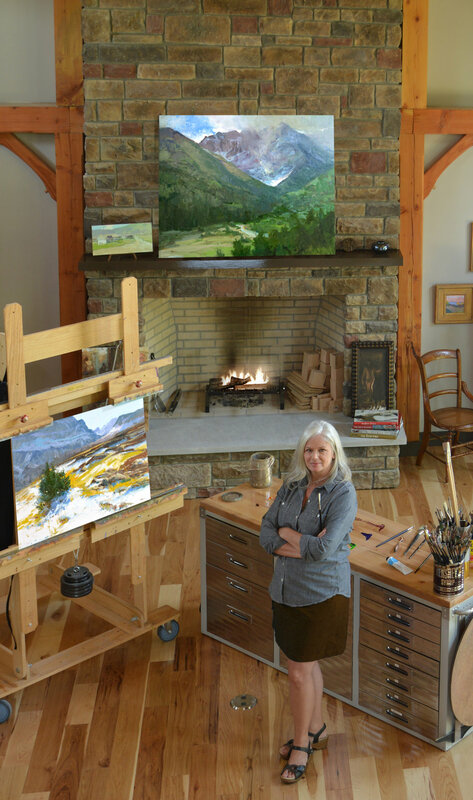 Modern American Impressionist Lori Putnam demonstrates six of her most-often utilized methods.Images illustrate, step-by-step, her processes from critical thinking and preparation to expression and completion. Read tips about color, value, paint application, treatment of edges, design, and more. To improve your work through self-critique, you will learn what internal questions to ask along the way. 8x10. 48 pages. Hardcover with dust jacket. Full color. © Lori Putnam, 2013. All Rights Reserved. Available on Blurb and Amazon.